Man and machine are coming together to drive higher service levels. Services so compelling that businesses and individuals will be willing to pay a premium, and in doing so present new revenue streams to field-based companies. This paradigm-shift will be driven by IoT analytics (optimising machines), working in harmony with service management technology (optimising people). Back in the early 2000s field service professionals were using enterprise applications on (admittedly clunky) mobile devices. The field service sector pretty much pioneered enterprise mobility before consumers even knew what a smartphone was. 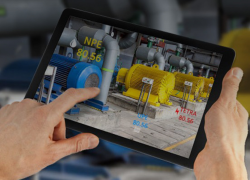 Just like enterprise mobility, it is the nature of the sector and the machine-based assets that technicians work with that is also seeing field service as a hotbed of advancements for M2M. To paint a picture, take the mining industry as an example of where premium service levels would provide considerable benefit. The smooth running of assets are critical to the sector. Leased rigging equipment that isn’t extracting, large vehicles that aren’t transporting, or pumps that aren’t pumping can mean millions of dollars in costs for even short periods of time. Add to the equation potential health and safety risks of malfunctioning assets and the potential impact of asset failure grows. Historically to avoid shutdown the leasing companies that often provide the equipment for mining operations have relied upon expensive preventative and reactive maintenance to avoid failure – but this was never foolproof. There is now an opportunity for them to build improved reliability into their services by connecting their machines and repair crews through technology. Sensors connected to the internet can anticipate and communicate asset failure, for example a drop in tire pressure on a huge truck delivering ore for refining. This data can be fed back real-time to the leaser on an analytics dashboard. To build additional value into this notification the data can be automatically fed into a service management platform which can use the information to locate the nearest available engineer with the right skills and parts to fix the problem. Then the analytics contained within the sensor can be served to the engineer on a mobile device – what the air pressure is, where the asset is located, how much load the truck is bearing etc. What’s more with the information captured by the IoT platform and the engineer can be used to predict trends over time to optimise leasing performance. With this means to capture information and act upon it faster than ever, companies can offer premium service level packages to businesses that promise greater reliability and faster responses, even action before the customer realises there is a problem – everybody wins. Of course it can be applied to many different sectors e.g. response teams to head off emergency gas situations for utilities, or for providers of health equipment to hospitals, or for contractors to keep smart cities ticking. It’s not all about creating new revenue streams. 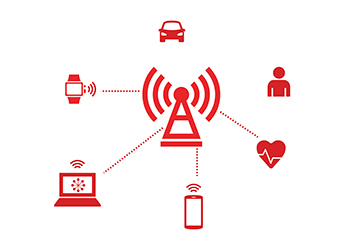 Service management can optimise the activities of insurance companies’ employees and, through advanced enterprise mobility, provide reports generated by an IoT platform that predicts in the event of an accident for instance, damage to an insured vehicle, as well as any additional information the field adjuster requires to complete a job. Business and M2M is at the start of an exciting journey. One of the most important factors in its success as it matures is the imperative for connecting people and machines. It is analytics that will inform the optimisation of services so that individuals, businesses, cities and the world will be enjoy greater prosperity.